Hooked on smart bathroom storage! Potty training is a true test of wills, and between all the messes and rewards, the last thing you want to think about is where to store that potty seat. Enter the Hooked™ toilet seat hanger. 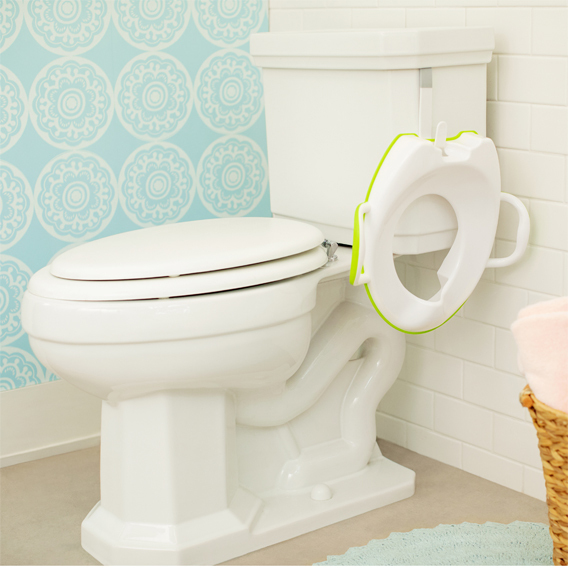 This smartly designed hook allows you to hang your potty seat on the side of your toilet, keeping it off the floor -- and top of mind for your little one. The minimalist design saves precious space and works with most potty seat brands. Just place under the lid of your toilet tank and you're good to go! When it comes to bathroom storage solutions, sometimes simplicity is the most brilliant hack of all.